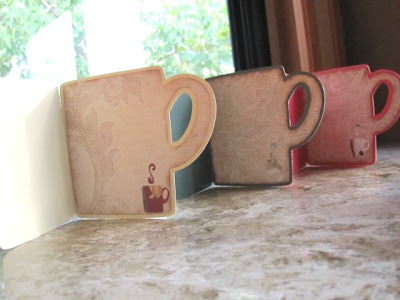 Eats n Feats: Mug shaped cards. I'm really enjoying making these mug shaped cards. I'm doing three at a time because I currently have three mats for my Cricut. 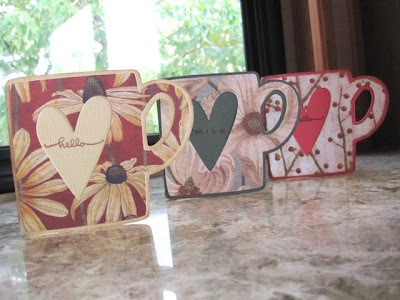 I've stamped the middle of the heart with "hello", "smile", and "thank you". I really think I like the "hello" stamp best and it makes the card more versatile. I've used a subtly patterned paper for the inside to write a message on and there is a little cup with steam coming from it to add a little interest. I really love these cards...they look so good!